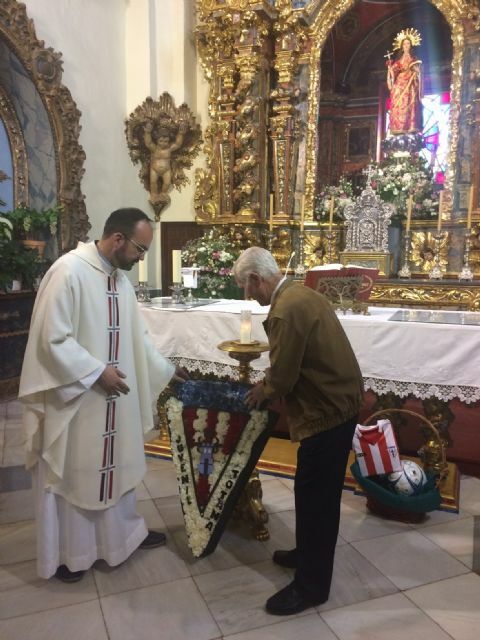 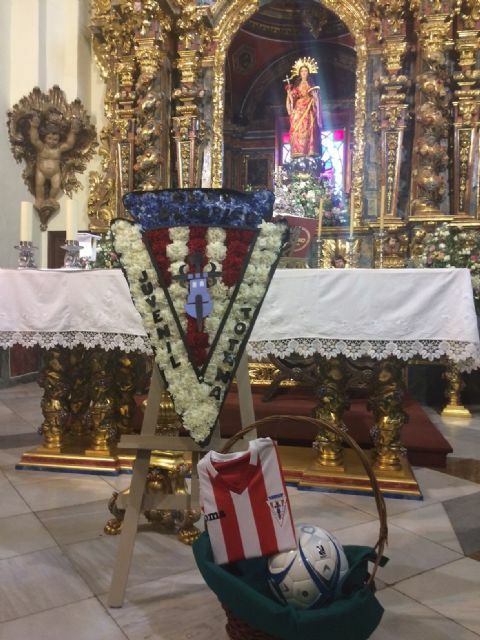 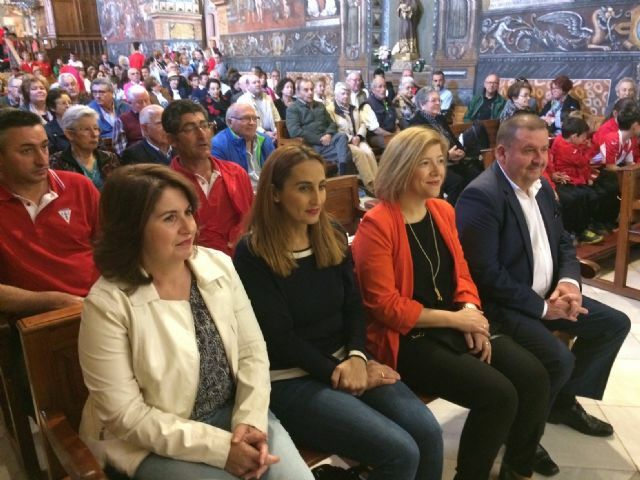 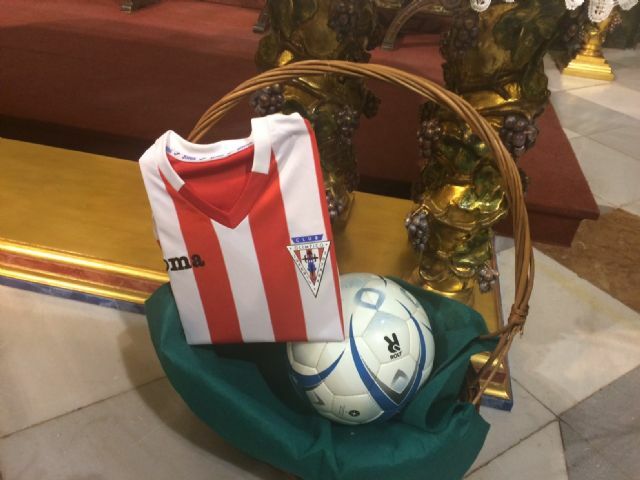 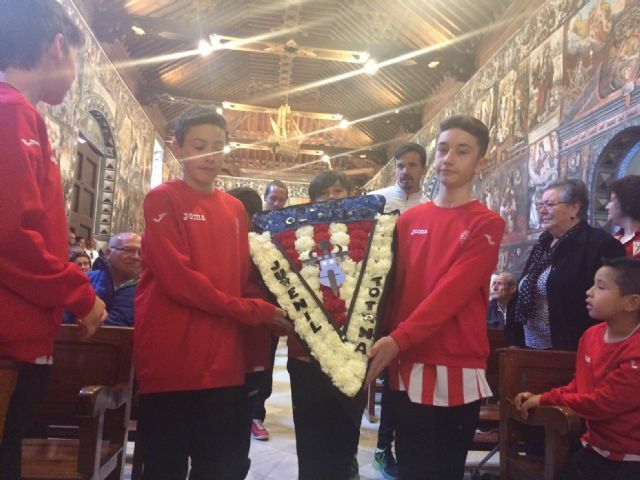 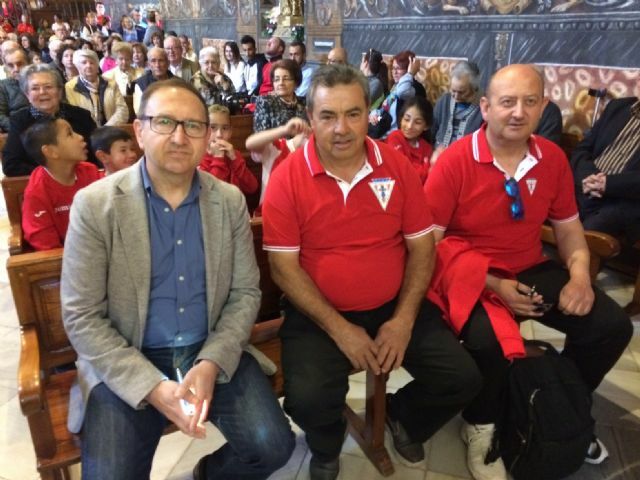 Municipal authorities attend the traditional Floral Offering of the Bases of the Olympic Club of Totana, in the sanctuary to the Patron Saint, Santa Eulalia de Mérida, which is celebrated every season. 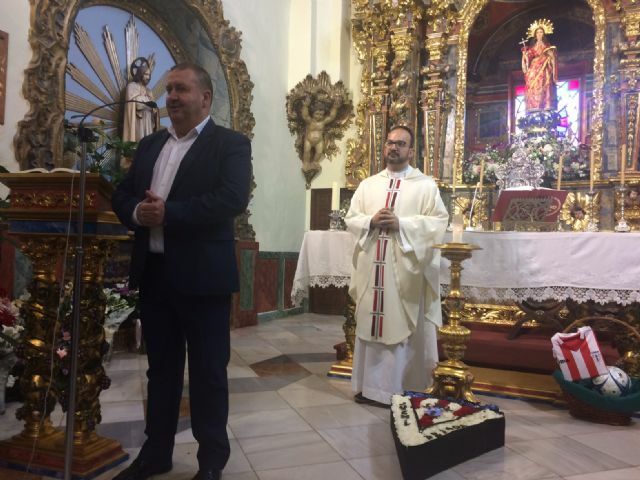 The Mayor, Andrés García, and members of the Municipal Corporation have participated in this act after the Mass officiated by the parish priest of Santiago, Francisco José Fernández. 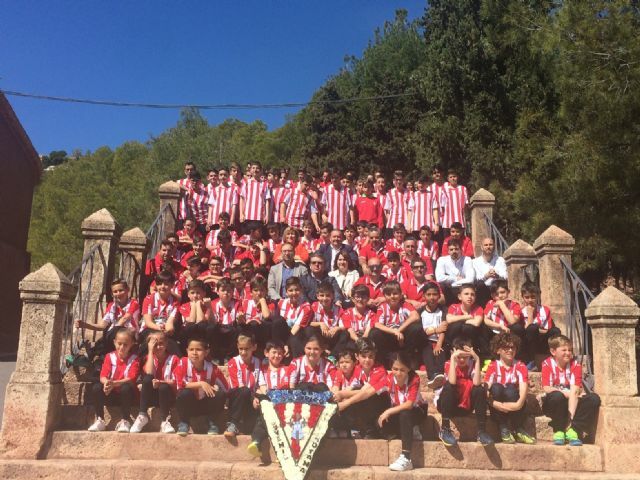 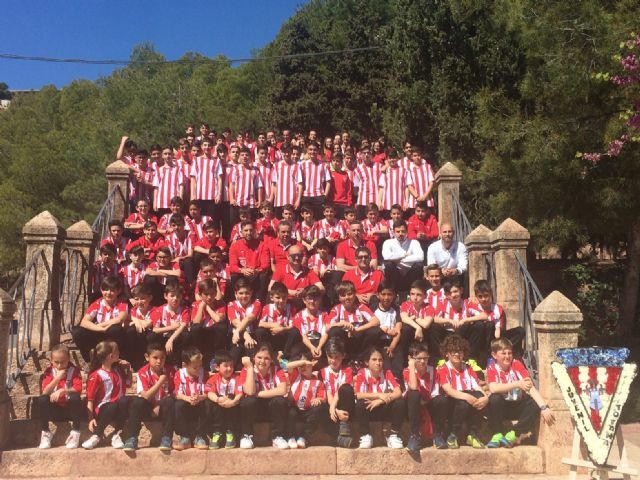 The club, one of the few that has not disappeared in its history since its birth, brings together in its different base teams about 190 boys and girls.